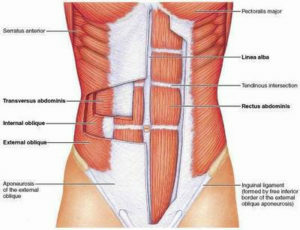 The transverse abs run horizontally and are responsible for twisting and turning motions. The obliques run at an angle, and utilize a combined motion to maximize activation. This is a simplified description of muscle movements, but I am sharing this to show why incorporating a range of core movements is important to maximize results in the midsection. Core strength is your support for your back, and helps maintain hip alignment. A strong core helps you maintain form for every exercise you do. I hope you enjoy today’s workout! It’s a throwback from my HIIT the New Year Hard Workout Challenge. My BRAND NEW workout challenge starts on Sunday August 21st! My DietBet Challenge starts on Monday August 22nd. It’s not to late to sign up: www.DietBet.com/BenderFitness. I am starting to film workouts this week for the new challenge! So excited! Have fun with today’s routine! Set your Interval Timer for 15 rounds of 30/50 seconds. Love the workout. When I was doing number 9 (side plank twist) my shoulders were popping. Any suggestions what I was doing wrong?